Recent technology advancements now provide dentures to look more natural and feel more comfortable. The process of developing, fitting and adjusting dentures is a straightforward process. However, it is important to note that the quality of dentures will vary between dentists; typically, cheaper sets will lead to worse results. Therefore, it is vital to contact an experienced and well-trained expert. Doing so, while more expensive, will be cheaper in the long-term because you avoid the costs of further procedures to fix your old set. 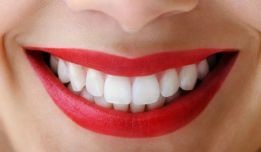 The team at Australian Dentists Clinic – Melbourne CBD offers advice and expertise in this area and can be trusted to meet denture-related needs. Denture prices vary significantly based on their quality and type. Typically, a conventional denture set will cost $3,000 in Melbourne. While an upper or lower denture will cost between $1500 and $1800. 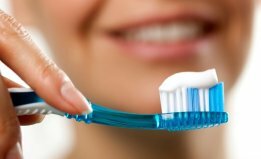 It is important to keep in mind, however, that additional pharmaceutical and cleaning products necessary to maintain false teeth might inflate this price. Also, dentures do require adjustments in the immediate aftermath of their fitting and should be replaced every 5 to 7 years. Medicare does not cover dentures as they are deemed a cosmetic product. However, private health insurers may do so. Thus, the Australian Dentists Clinic advises any person considering dentures to contact their provider to check their coverage. The first visit will involve your dentist evaluating your gums and bone structure to work out whether dentures are appropriate. Oral surgery may be performed to make the mouth more suitable for dentures. This typically involves tooth extractions. If this happens, an immediate set of dentures will be fitted to help the patient during the recovery process. After any surgeries, the dentist will make impressions of your mouth and bite to inform the development of the final set of conventional dentures. The dentist will determine how your jaws relate to one another and the spaces between them. Over a few appointments (2 to 4), your dentures will be adjusted depending on factors such as their fit, colour and shape until they serve their intended function. There are many different types of dentures. This is dependent upon the number of teeth missing along with other factors related to oral hygiene. Complete dentures are developed for those who have no teeth remaining in their upper or lower jaw (or both). They are, in essence, a full set of removable false teeth. There are two sorts of complete sets: immediate and conventional. Sometimes, people who are receiving a complete set of dentures may need preparatory surgical procedures (such as tooth extractions to remove remaining teeth). Immediate dentures are made in advance of any sort of surgery so that they can be positioned straightaway once the procedure is finished. They are a temporary set designed to fill the patient’s mouth while they recover. Immediate sets will eventually be replaced by a conventional set of dentures. During the healing process, gums shrink and move so immediate dentures will require adjustment by your dentist. Conventional dentures are made post-surgery and are not fitted immediately. Instead, dentists will wait until a patient’s gums are fully recovered. As such, it may be 2 or 3 months after a surgery that a patient will receive their complete set of conventional dentures. During this time, the dentures will be crafted with acrylic, nylon or metal (or a combination of different materials) to suit the patient’s mouth. 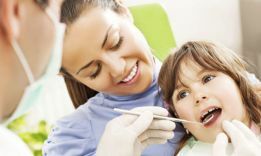 Over multiple appointments, your dentist will assess your bite, jaws and gum colour to minimise future readjustments. A partial set of removable dentures is fitted when one or more teeth remain in a patient’s mouth. Replacement teeth are connected to a plastic base with a metal framework. The metal is crafted in such a way that the replacement teeth are fitted around the remaining permanent teeth to plug any gaps in the mouth. The same multiple-appointment process that occurs with complete sets of dentures occurs with partial ones too. There are a number of reasons why someone might need dentures. However, the common root between them is the necessity of replacing missing teeth. Periodontal disease is, essentially, a gum infection. The bacteria causing these infections can spread from the gums to the structures that support teeth in the jawbone. This may, in turn, require tooth extractions and, therefore, the fitting of dentures. General tooth decay can become so serious that extraction is required. A dentist may recommend that dentures be fitted in the aftermath of this procedure. Teeth function to support facial muscles. Thus, when teeth go missing, the face can sag. A dentist may recommend the fitting of dentures for this aesthetic purpose of making the face look full again. This can have a positive effect on self esteem and confidence. If you are missing teeth, you may have noticed that eating and talking is not as simple as it once was. While dentures can take a while to get used to, they will eventually help you return to chewing your food and speaking as you once did with your old permanent teeth. They have been in an accident that has knocked teeth loose. They suffer from diseases like ectodermal dysplasia or gastrointestinal reflux that lead to missing teeth. Children cannot be fitted with implants because their jaws have not finished growing; dentures may be the only solution for them until they can have implants. Dentures are usually safe and appropriate for most people. However, the Australian Dentists Clinic recommends seeking dental evaluation to ensure one’s personal factors are properly considered prior to a fitting. While your gums get used to the dentures, you will experience some pain in the first few days. Chewing food will be difficult for the first week. Speaking will feel different and your speech may sound slurred until you have enough practice. There will be some irritation and increased saliva as your mouth becomes accustomed to the dentures. After a week or two, these issues should subside. If these problems persist, a dentist should be contacted. Importantly, if your dentures continue to slide around your mouth and do not fit properly, readjustment may be necessary. This needs to be addressed quickly as food can become trapped between the dentures and gums, potentially leading to bad breath or infection. Soft foods should be eaten, gradually becoming harder as you become used to chewing. You should sleep with your dentures in so your gums can get used to holding them in place. Once you become accustomed to dentures, you should not sleep with them in your mouth. You should practice speaking so that you become used to saying certain words with your dentures in. Avoid sticky foods that can stick to the base and damage the dentures. Avoid hot foots that can melt the dentures. Do not use tooth picks. Reposition the dentures when they dislodge from your gums by biting down and swallowing. Brush and rinse your dentures with a soft-bristled brush each morning and night. Brush your gums softly to stimulate circulation. Gargle with warm salt water to kill bacteria and disinfect sores. Handle with care; only remove your dentures when you are standing over a soft surface (i.e. a towel or bed). Soak every night in cold water and a common household soap or mild dishwashing liquid. Bleach will whiten the colouring so avoid this. Ultrasonic cleaners are an option. Here, the dentures soak in a small tub of water and cleaning solution with sound waves creating a motion that dislodges food and grit. Cover your mouth when yawning, coughing or sneezing to avoid dislodgment. Keep in mind that follow-up appointments are needed. Your jaw changes shape over time so your dentist will need to readjust your dentures every so often and replace them after 5 to 7 years. The usual alternative to dentures is dental implants. The main difference between the two treatments is permanence; while dentures are removable, dental implants are surgically screwed into the jawbone and remain there. Implants cost far more than dentures (sometimes up to $20,000 for a full set) and may not be appropriate for those with poor gum health or weak jaw bones. So while they might prove a viable option for a young person, elderly people tend to select dentures over implants. 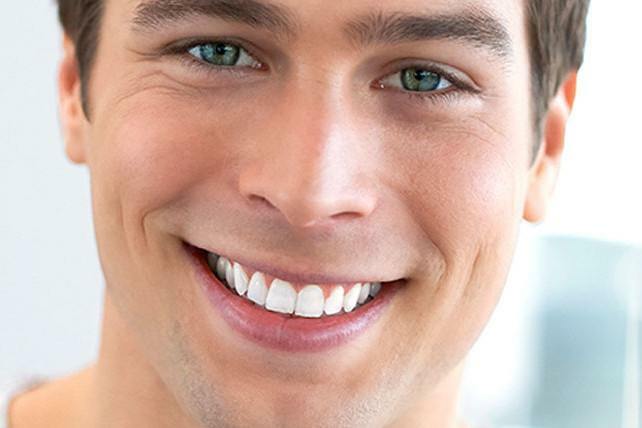 For those who are considering dentures to replace cavity-ridden teeth, veneers are an option. This treatment is only available to those whose teeth still remain in their mouth and do not need to be extracted. A veneer is, in essence, a tooth covering that improves the appearance of a decayed tooth. When one’s teeth need not be removed and the problem is purely an aesthetic one, veneers are a great alternative to dentures. You mentioned that I may need to seek my dentist out if my dentures are ill-fitting. What are the signs that I need my dentures readjusted? Difficulty chewing after the two-week acclimatisation process. A changing fit in your mouth. Pressure sores on your gums. What are the main benefits of dentures? Dentures are far more affordable than implants; they are, typically, more aesthetically pleasing than having missing or decayed teeth. They also support your cheeks and lips and prevent them from sagging. Adhesives complement dentures by helping with the stability of facial muscles and the dryness of a denture-wearer’s mouth. You should not use an adhesive instead of getting your dentures refitted or adjusted. Also, people sometimes have allergic reactions to adhesives so your doctor should be consulted prior to use. Otherwise, you can use an over-the-counter adhesive if you believe it will make your experience with dentures more comfortable. How often should I see my dentist to readjust my dentures? It is generally recommended that you should visit your dentist every 6 months for teeth cleaning and evaluation. In these sessions, your dentist can also check-up on your dentures. The fitting of dentures is relatively straightforward when conducted by a trained expert. Due to the high costs associated with dentures, people have been known to seek out cheaper alternatives, which has led to quality-related problems for them and more frequent appointments for readjustment. 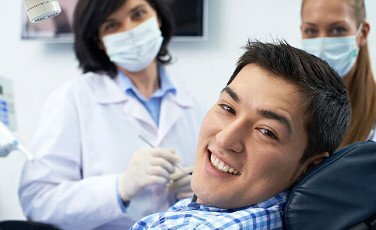 The Australian Dentists Clinic’s highly qualified team of dentists will ensure that you have to spend as little time being refitted as possible. Quality is our utmost concern; we will endeavour to fit your dentures quickly and properly so you can keep on going with your normal life. We understand that getting dentures is a serious decision. We encourage anyone thinking of receiving this treatment to book a consultation with a member of our team so we can help you assess your options.